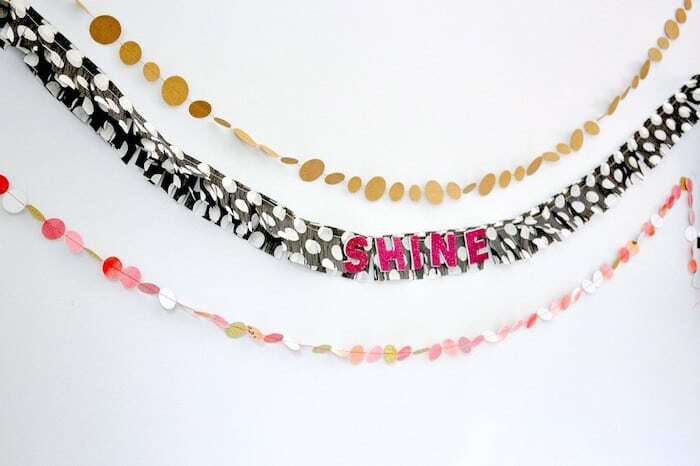 I adore creating and sharing easy duct tape crafts! 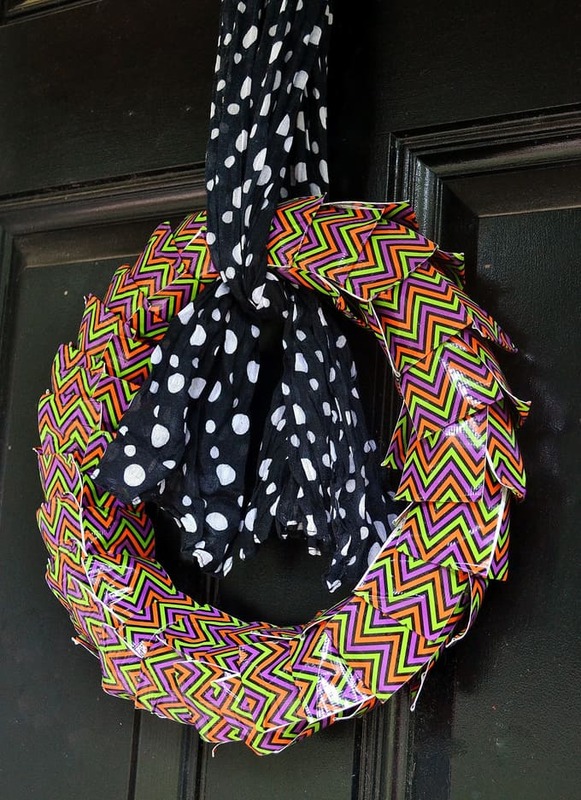 Today, I have a super simple duct tape wreath–perfect for Halloween! 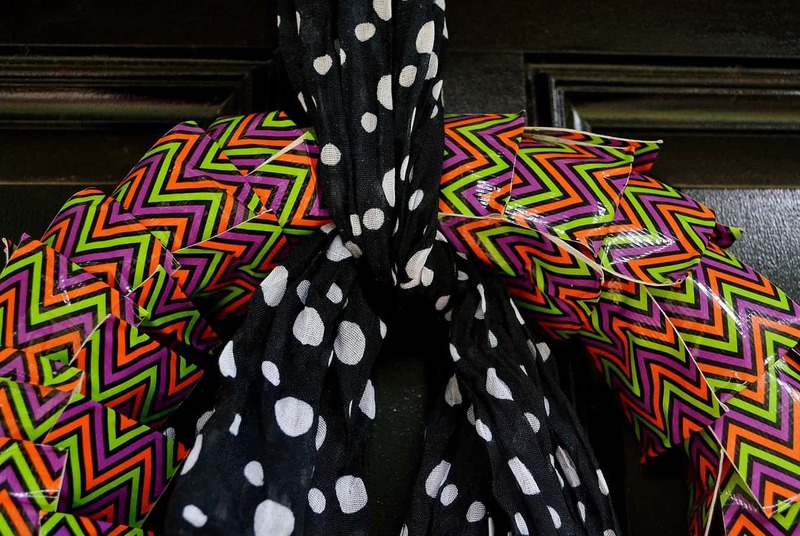 Change up the pattern of duct tape to match any holiday, theme or favorite color scheme! 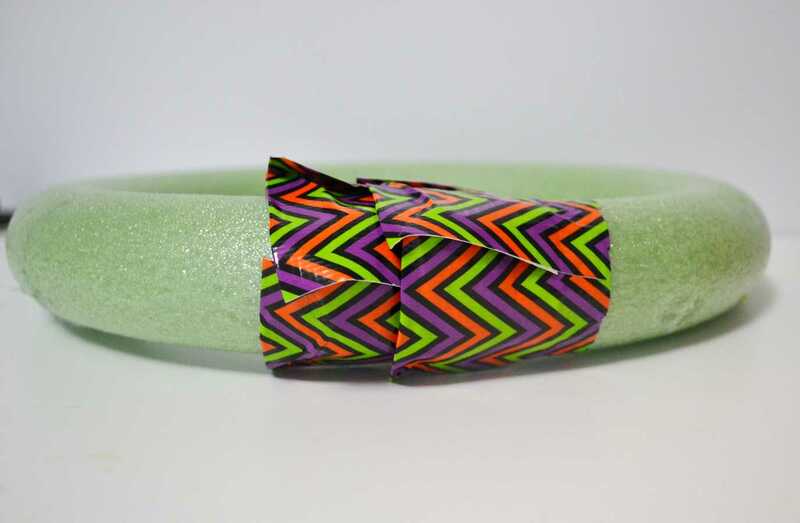 Step 1: Take your duct tape, and cut a length that’s about 3.5″ long (a bit longer or shorter is fine, there’s no need to measure it exactly). 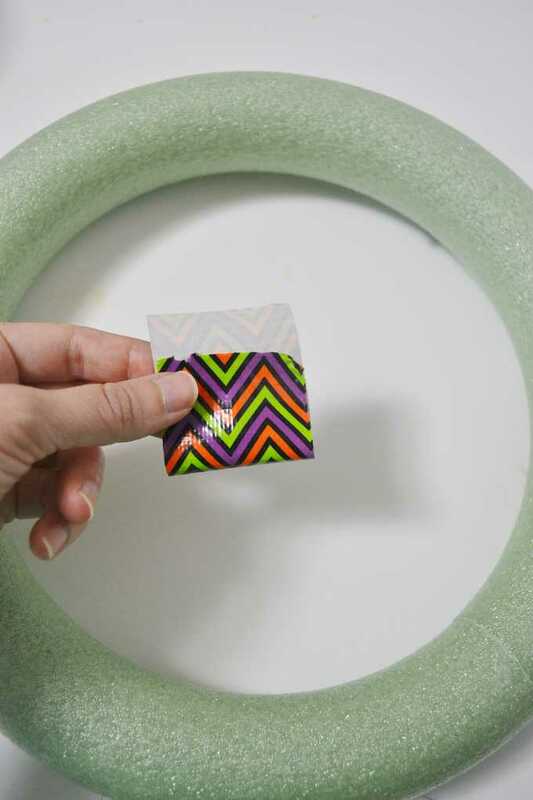 Fold it over, so that you have about 1/2″ of exposed tape (you’ll use this to attach the tape to the wreath), and flatten. …a scarf! 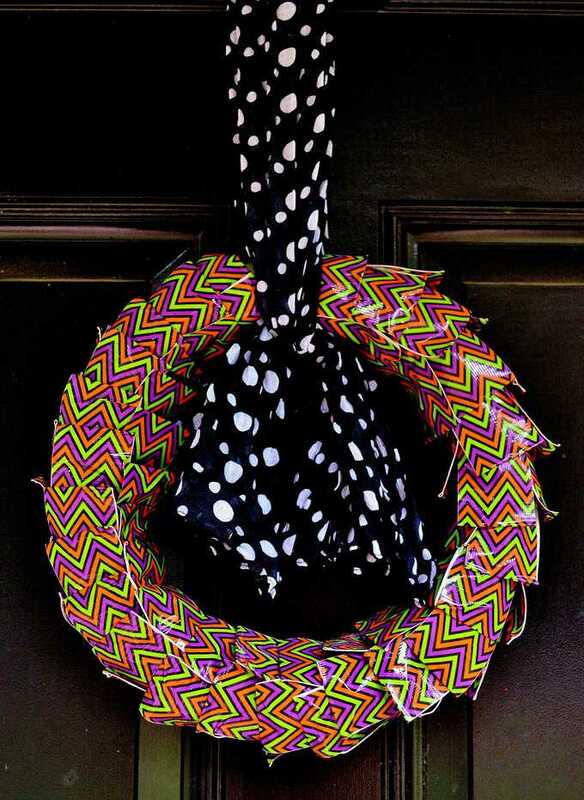 Just fold the scarf in half, attach the folded part to the top of your door (we use pushpins), and tie your ends around the inside of your wreath. 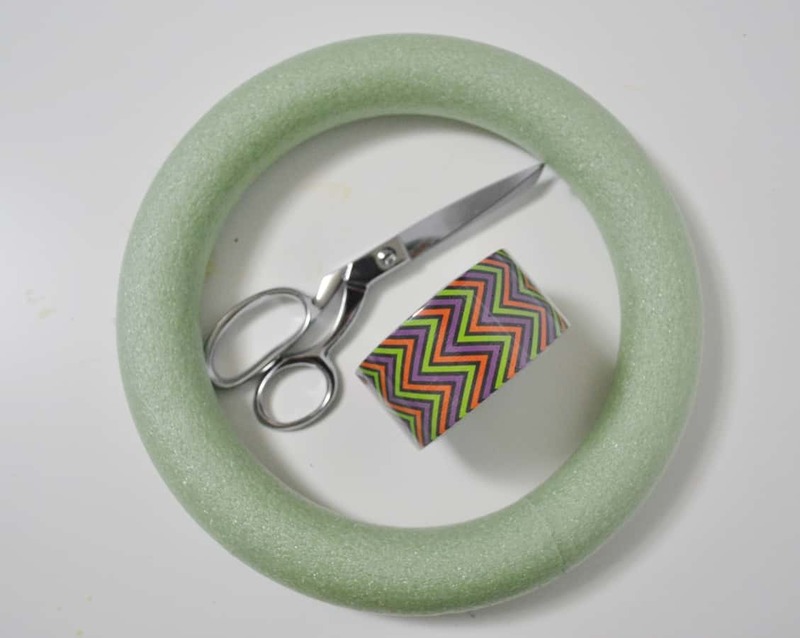 Thanks so much for reading all about my favorite Duct Tape Crafts (make a duct tape halloween wreath). Have a lovely day!